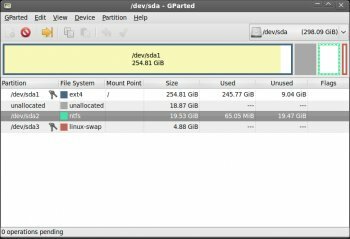 GParted is a free partition manager that enables you to resize, copy, and move partitions without data loss. The bootable image is called GParted Live and enables all the features of the GParted application. GParted Live can be used on GNU/Linux as well as other operating systems, such as Windows or Mac OS X. A great product and very useful. My only complaint is why was it posted as an iso? This takes more time to prepare and it is less useful to new users. Agsin, this is a great product. the best in it's class period ! Work with Drives & Partitions etc .... "Without Data-Loss"
Excellent utility. I have finally embraced the SSD world. Equipe two home laptop with SSDs. Used Clonezilla to save & restore disk content. 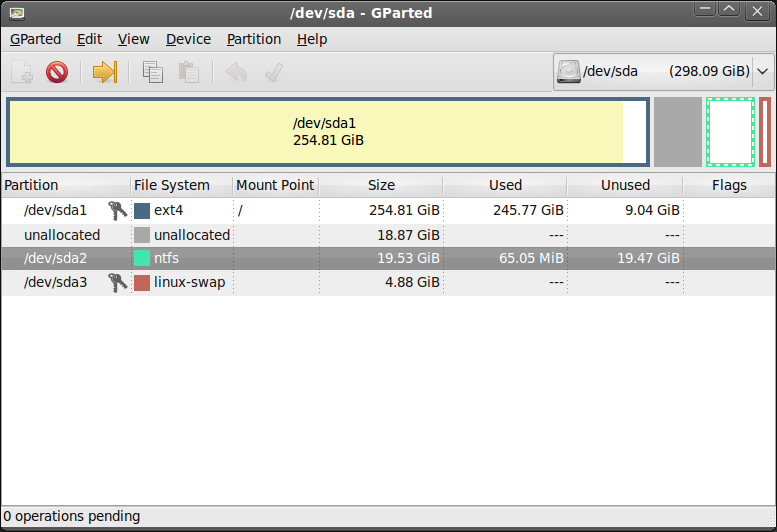 Used GParted to resize all various linux partitions on the SSD. GParted works OK, I use on my Kubuntu and so far I haven't noticed any problemos. Music4Ever sorry di int re i lize the spelling police where out to night! Tell your mom I will make it up to her 2 mow row ! GParted 0.12.1-1 is an excellent utility and works well. It works with a large number of file formats and those that I've tried it with--specifically various Linux, DOS and NTFS--it worked fast and flawlessly. I've been using this version for about a week now (on a dozen or so drives) and each operation was copybook and without incident. * But GParted did not estimate how long it would take to complete, which bluntly, is a nuisance. As with earlier releases, GParted is a little spartan and it's not as intuitive as it could be which may intimidate new users. Like DBAN, GParted can easily be nuke software, so it would be nice if it had improved protection (warning and information), especially so for Windows users who sometimes get confused with the UNIX device nomenclature. Then there's the dangerous case of the 'Sliding Drives'. As with Windows, remove a drive and /dev/sdb1slides down to /dev/sda1 etc. One problem I've previously experienced with GParted is that it won't work with my RAID drives, the same problem exists in this version. Caveats aside, GParted is strong;y recommended. (, give me a call., I have 19 years in the feild,) ~ ?? the 2 reviews below crack me up, go back to your Aol IE and your Real Player, when you want to play with the big boy's , give me a call., I have 19 years in the feild, and well guess what ? this is top notch!!! best in it's class period ! to give this less then a 10 is Moronic! Burnt this as an ISO but I have to say I don't think I would trust using a none final partition program on my main PC, even with extensive array of images & full multiple backups of all files. I'm going to let others try this for some time. Its great but EASUS (SP) has a free one too but you can do everything in Windows. best partition tool period !